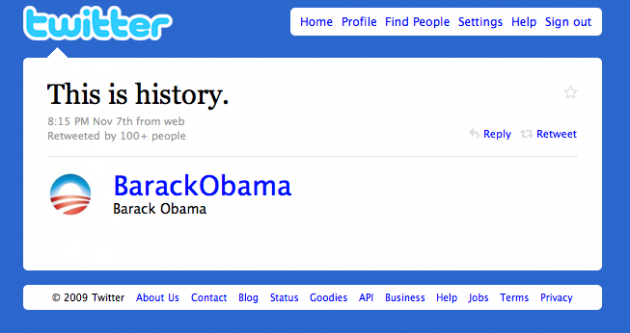 President Barack Obama has one of the most popular Twitter accounts with over 2.6 million followers. It should be no real surprise that most of the time it’s not him tweeting from it, instead its various people within the White House communication team that use the account to send out information. 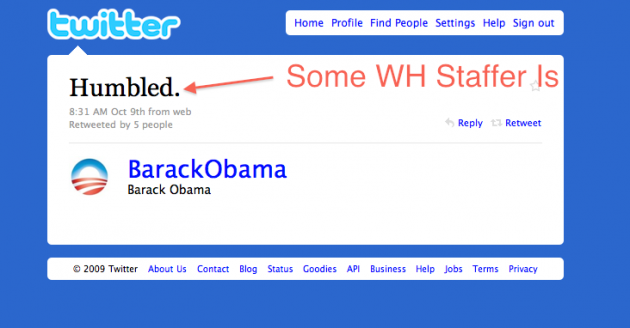 And now that he is the President, certainly there are some security concerns with him using something like Twitter. But, did you know that he’s actually never used Twitter at all? This is interesting considering the Internet, and social media in particular, was considered a large part of his ascension to the Presidency. Obviously, he had a killer team around him that was able to embrace the web without the then-Senator getting too much involved. Still, it’s somewhat surprising that he never sent any of his own tweets during the primaries. And undoubtedly part of us wants to believe that when you see tweets like “This is history,” which was sent on November 7 — or “Humbled” after he won the Nobel Peace Prize in October, that’s it could the President really sending it. Nope. Of course, the more important story here is his stance on Chinese Internet censorship. It’s ridiculous that people in China are restricted from accessing certain parts of the Internet. But we’ve all known that for a long time, and we’ve known the President’s position on it.